The Stella Press was founded in 2015 with the aim of promoting the best values, and the best available practices, of fine press, printing (letterpress and digital), book design, and bindings. 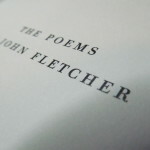 Fine press has sometimes acquired a bad press, because the editions that flow from the letterpresses are perceived to be so trifling: a kind of literary bijouterie.Seeking inspiration instead from the heroic age of the English private press book in the 1920s (Shakespeare Head, Nonesuch, Golden Cockerel, Ashendene, Cresset), The Stella Press aspires to a less trivial role: the rediscovery, revaluation, re-affirmation, and re-publication in limited editions, of distinguished or unduly neglected works of English literature and history between the sixteenth and eighteenth century.As an earnest of the seriousness of its project, it is publishing, as the first book on its list, a limited edition of The Poems of John Fletcher 1579 – 1625.Fletcher’s songs have been widely anthologized: but this is the first monographic selection of Fletcher’s poems ever to be published. It is printed in a limited edition of 150 numbered copies only.The editorial office of The Stella Press is in Naples (click Contact for details). 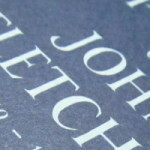 Book design, production, printing, and binding are based in England.